Good Christmas gift ideas are easier when you consider the recipient and what might please that person. If you focus on what they really enjoy, you'll be guided to finding the perfect present. During the Christmas season, it's easy to find yourself in a rush and in need of some last minute gift ideas. One of the most personal gifts you can give someone is a homemade Christmas gift. Some homemade gift ideas include gifts in a jar, gift baskets, and food gifts, whether the items included are purchased or made by hand. Personalize Christmas ornaments and other handmade gifts to give them an extra special touch. If you aren't a crafty person, you can use your computer to print Christmas gift certificates, making them redeemable for such things as cleaning, babysitting and other valuable services. You don't have to be involved in a themed gift exchange to utilize the gift theme idea. One theme idea for celebrating the Christmas season is to go with gift ideas for the twelve days of Christmas. These gifts can include ornaments, jewelry or a more obscure interpretation, such as a cellphone for "four calling birds". Be creative and have fun with this themed-Christmas gifting. You can even pick a theme when it comes to Christmas stocking stuffers or simply select items based on age and gender. You might find the concept of mini Christmas presents ideal for this type of gift giving, such as a special Christmas tree ornament. You might decide that a gag gift theme is the best choices for your Christmas list this year. These can include various fun homemade gag gifts or specialty store joke gifts designed for specific genders or ages as well as for friends. You may have someone in your family who is an electric train enthusiast and enjoys setting up Christmas train displays and would appreciate an addition to their collection. If you're stumped on gift ideas for the men in your life, consider the type of gift you wish to give. For example, if you're seeking a romantic Christmas gift for a man consider his tastes and hobbies. Perhaps a dinner or getaway is your beloved's ideal romantic gift. Another way to find a present for the man in your life is to review a list of the top Christmas gifts for men to find a great idea. When shopping for gifts for teenagers consider the various activities they enjoy and find gift cards. Add a few specific items to complete your shopping list. When your kids need Christmas gifts for teachers, you want to express gratitude with the right kind of gift that a teacher will appreciate. It's safer to go with a generic kind of gift, but be sure to select one that conveys both your and your child's sincerity. 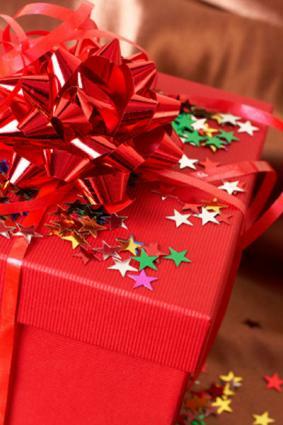 Many companies allow employees to exchange inexpensive Christmas gifts. Be sure to follow the guidelines, spend only what's allowed and make sure you select an appropriate gift. If you're the boss, then it's appropriate for you to give employee Christmas gifts. Cash or gift certificates are the most widely choices for employee gifting, although you can always opt for other types of gifts. There are many occasions where a religious Christmas gift if appropriate, such as for a Sunday school teacher, choir director, or fellow church member. You may find denominational specific gifts are greatly appreciated. For example, a member of the Church of Jesus Christ of Latter-Day Saints (LDS) might enjoy a new Bible, mission related items, and other gifts associated with his or her core beliefs. Gifts will sometimes need to be extra-special. Sometimes the person is simply very difficult to buy for. This could be a picky teenager or someone who seems to have everything. In the case of the latter, you might need to turn to luxury presents but are still within your budget. Taking time to find that special and unique gift lets the recipient know how much you care. These gifts can be as simple as a snow globe to add to their collection or a cashmere sweater. You may find a one-of-a-kind or unusual type of present in one of the many Christmas catalogs available. One of the best ways to understand gift giving is to stay away from bad Christmas presents, such as foods that go against dietary restrictions. Other types of bad gift ideas include oddities, such as books on crafting with pet hair, or inappropriate gifts that can insult the recipient. The same rule applies to avoid your children receiving the worst gifts from Santa. This kind of gift can include gifts that aren't age appropriate, such as toys with small pieces a toddler could choke on or toddler oriented gifts to older children. Help Santa avoid giving gifts that can't be operated due to a lack of batteries, wrong size or broken toys. The best Christmas present is one that demonstrates the thought and time you put into selecting it. Keep these two points in mind and you're sure to select the perfect gifts.